Comfortable atmosphere, clean rooms and comfortable beds. Nice being close to Metro, grocery store and good restaurants. Nice kitchen, really nice living room & dining room, great to have three showers for three bedrooms. Bathrooms were very modern, as was the kitchen. Apartment definitely had a luxury feel to it. Key pickup was very accommodating despite traffic problems, and the credit card hold for the damage deposit was cancelled promptly after our stay. Overall, an excellently-run apartment. This apartment is close to the train which makes all of Paris accessible. It was close to a lovely pedestrian area with fantastic restaurants and bakeries with great pastries. The apartment has two full bathrooms which was perfect for five adults. The bedrooms are on the small size but I was not in Paris to sit in my bedroom. The overall apartment is large and very accommodating. I would recommend this apartment to anyone. This stay at this property was amazing, we were comfortable with the location, the cleanliness, the size, and the staff. There is a lot of shops and things to do close by and it was not too far from the train station. There were 7 of us that stayed, so there were two people to a room and two people slept on the pull out couch. Everyone was comfortable and we had enough room to relax and enjoy our stay. I would definitely stay here again. They allowed us to check in early and we were met with a bottle of wine. It was a great experience. Close to transpiration and within walking distance or a lot of Paris Highlights. Great location! It looked as advertised. Nicely decorated. The showers were spacious with good water pressure and plenty of hot water. Though the neighborhood was questionable, the serious deadbolt lock, made us feel secure. Modern apartment with new, comfortable furnishings. Beds and couches were all very comfortable. We had 8 adults and it was spacious enough. Hosts were very nice and easy to communicate with. Location was central and close to metro. 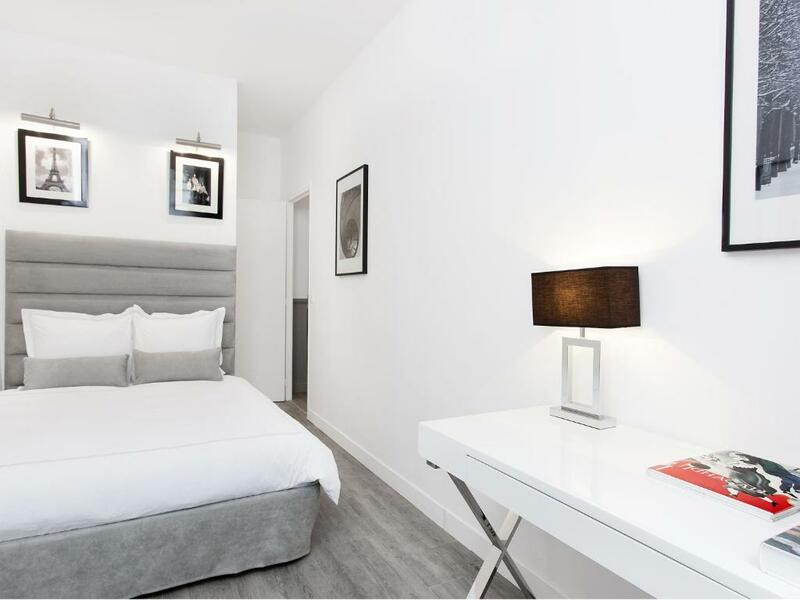 Lock in a great price for The Residence - Luxury 3 Bedroom Paris Center – rated 8.1 by recent guests! 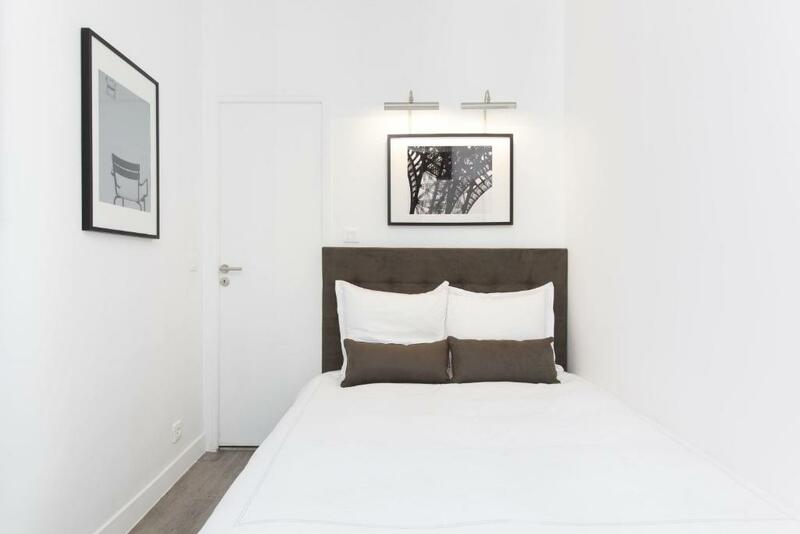 One of our top picks in Paris.Located in the 2nd district of Paris, just a 15-minute walk from Opéra Gernier, The Residence – Luxury 3 Bedroom Paris Center offers 3 contemporary self-catering accommodations. The Georges Pompidou Center is only 0.6 mi away. 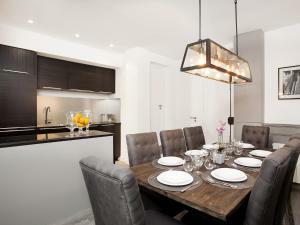 Each apartment features a living room with a flat-screen TV, 3 bedrooms and a bathroom with shower and hairdryer. 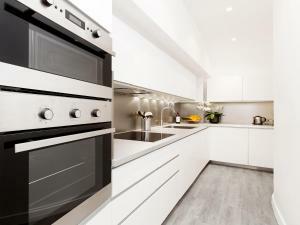 The kitchen is fully equipped with an oven, stovetop and refrigerator. Grocery shops and restaurants can be reached within walking distance of the property and free WiFi access is provided throughout. Strasbourg Saint-Denis Metro Station is a 4-minute walk away and offers direct access to Gare du Nord Train Station and the Noter Dame Cathedral. 2nd arr. is a great choice for travelers interested in architecture, shopping and art. 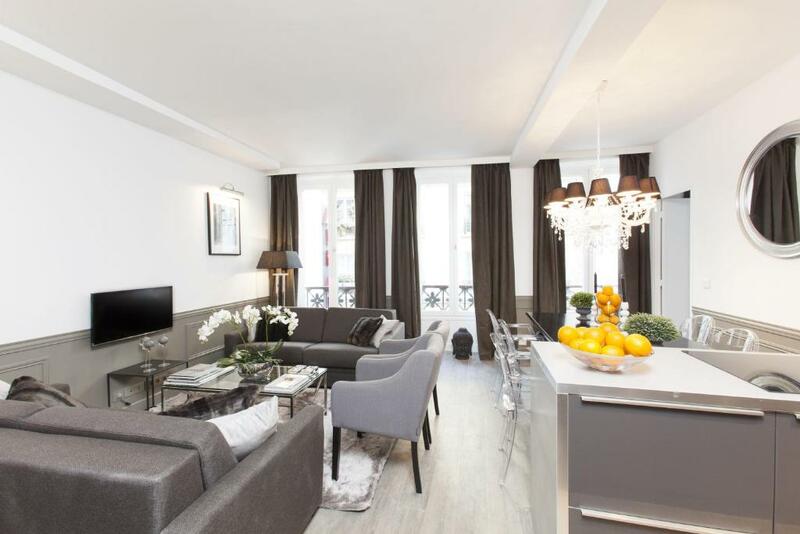 뀐 This property is in the real heart of Paris! 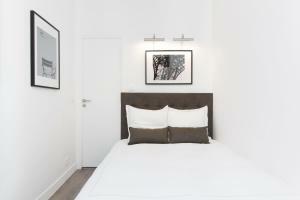 When would you like to stay at The Residence - Luxury 3 Bedroom Paris Center? This apartment features a living room with a flat-screen TV, 3 bedrooms and a bathroom with shower and hairdryer. The kitchen is fully equipped with an oven, stovetop and refrigerator. A washing machine and tumble dryer are also provided. Welcome to Luxury 3 bedroom in Paris center ! 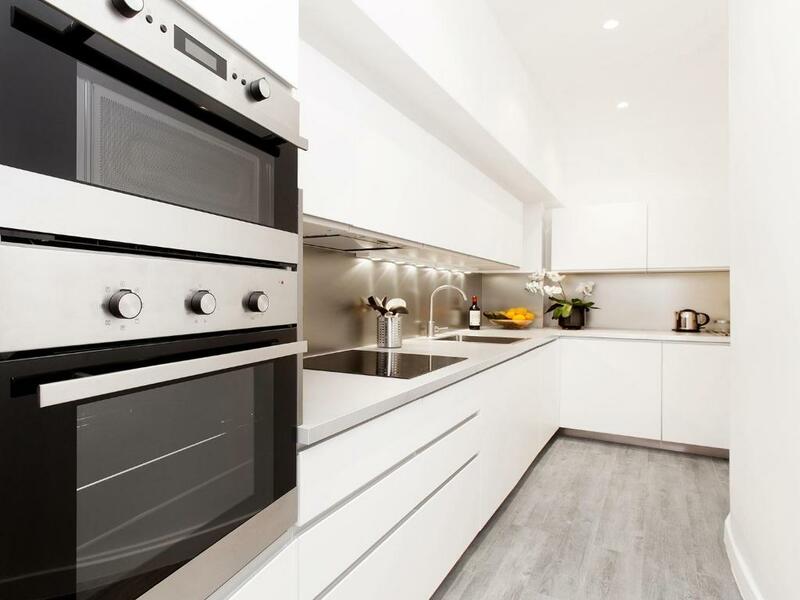 Our company specialises in the short-term rental of apartments. Whether you are on holiday or on a business trip, we offer you apartments which provide the comfort and services of a hotel whilst giving you the impression of being in your home. In recent years 'Montorgueil' has become one of the most animated and stylish districts of the capital, with its trendy restaurants and bars, its designer stores and its art galleries. The streets in this quarter are mostly pedestrian : you will enjoy the peace and quiet for dinner or a drink on the various terraces of cafés. At weekends crowds of Parisians flock to shop in this area where you can find some of the best bakeries, wine shops, cheeses, fresh food etc,,, A few steps away you can discover the Châtelet and Marais quarters and at barely ten minutes away, the most famous museum of Paris : The Louvre. The Ile Saint-Louis is 15 minutes away, with its famous Notre-Dame cathedral. Area Info – This neighborhood is a great choice for travelers interested in architecture, shopping and art – Check location Good location – show map Guests loved walking around the neighborhood! 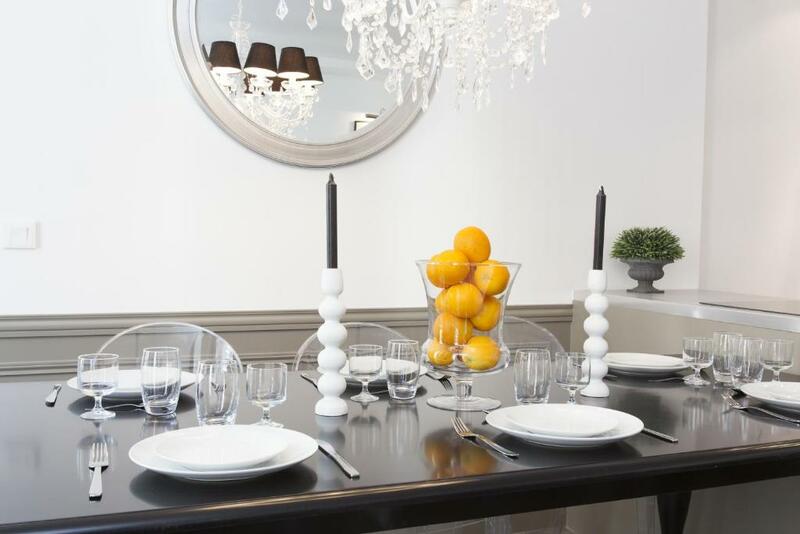 House Rules The Residence - Luxury 3 Bedroom Paris Center takes special requests – add in the next step! A EUR500 damage deposit is required 7 days before arrival (about USD562.17). This deposit will be fully refunded at check-out, as long as there isn't any damage to the property. The Residence - Luxury 3 Bedroom Paris Center accepts these cards and reserves the right to temporarily hold an amount prior to arrival. Please note that a EUR 500 damages deposit will be requested. It will be pre-authorized on your credit card on the day before your arrival. This may be used to charge for any damages incurred to the apartment during your stay. Please note that check-in between 20:00 and 22:00 is at an extra fee of EUR 30. The check in procedure will be sent to you shortly after booking. Please inform The Residence - Luxury 3 Bedroom Paris Center of your expected arrival time in advance. You can use the Special Requests box when booking, or contact the property directly using the contact details in your confirmation. A damage deposit of EUR 500 is required. The host charges this 7 days before arrival. That's about 562.17USD. This will be collected by credit card. You should be reimbursed on check-out. Your deposit will be refunded in full by credit card, subject to an inspection of the property. House was not as described. Whole building was under renovation, there was dust everywhere, floors were covered with cardboard and there were sacks of cement laying all over the staircase. Stairs to building were uneven and seemed unstable. Building did not feel safe because of the renovation. The apartment seemed smaller than described. Floors in the apartment were uneven. Sofa pillows fell to floor all the time and it was not easy to sit on the sofas. There was also no information about city available, we asked for map but hostess did not have any. At the end we also noticed that they charged us more than agreed. Location was great. Easy acces to main attractions of Paris. Quiet and nice area. The entrance was not easy to find. The hallway was awful as it is still a building site. The lights take too long to sense people are in. The accommodation was as the photos. Comnents i saw that the sofas and pillows are hard wasnt my experience. The construction should have been told to visitors. Great location, very close to Metro station. Accommodations exactly as pictured on photos. Basic cleaning supplies available. Washer/dryer was a nice bonus. Couches were uncomfortable & there are a lot of stairs which were tricky. Host & communication was fantastic. Location superb. The beds were comfortable but the pillows were not. The living room couch was very uncomfortable and VERY hard. But we didn’t spend much time on them. The apartment was a great value for the money. They need bigger trash cans in the bathrooms, not Barbie miniature size ones. No table in bedrooms to set a glass of water on. The entryway was under construction so not pretty at all and a mess early morning. But the location was unbeatable. It was close to where we needed to go. Close to food, pharmacy and metro system. We would stay here again. There are two pull-out sofas, but only one extra set of bedding. Easy access to the Metro. Lots of space for 6 adults. The second shower room and separate toilet was handy. It was very disappointing that we were not informed that the building was undergoing extensive reconstruction. We should have been advised at booking as the noise during the day was very disruptive. Also the security door to the building didn't work so there was no security to the building. I noticed other reviewers from some time ago complained that the TV remote was broken well it still is. The apartment was comfortable for our party of 6 and was in a great residential area if you went right out of the apartment but left felt a bit unsafe. The street itself and neighborhood are not particularly charming. 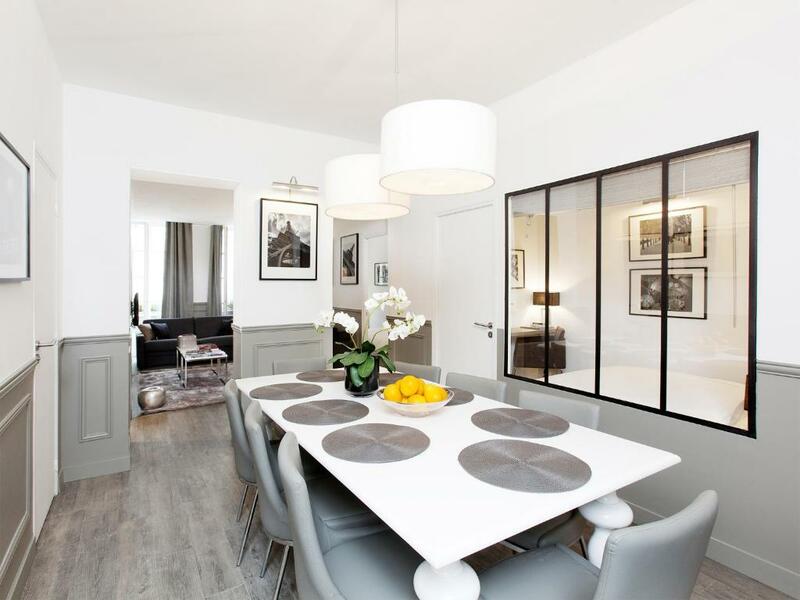 Beautiful apartment, conveniently close to metro and le Marais! Very nice host. Although we raced to get there before 8, we were charged 30 late fee anyway. Room very expensive. Lovely. A shower in each room, albeit tiny, but only two toilets.